Cocoa Brown has been my favourite brand for so long when it comes to fake tan, especially over the last 1/2 years and I've tried a lot of fake tan. Well ladies and gents they have some new products on the shelves Cocoa Brown Instant Tan Bronzing Gels and they come in two different formula's, one being matte and the other shimmer. Perfect for when you need a quick tan whether it be for a night out or for when you need that little top me up to make you feel/look good and it just got even easier, these products are a god send for people that never have enough time for a pamper. Now there isn't just me and many other that love Cocoa Brown fake tan... Kylie Jenner has even revealed that she uses Cocoa Brown fake tan for Tanning Thursday! Now if it's good for Kylie Jenner it's good for us all right?! Now I'm not going to lie I've never been one to buy instant tans that you can wash off as I always panicked that I'd go out and the flood gates would open and I'd be left looking like a spotty Dalmatian dog. So whenever I applied any instant tans before it was always lent to me by a friend and I was right they left me streaky and as soon as the rain came down I was the Dalmatian! So I was really surprised with this product, it applied evenly (not a streak in sight), it lasted all day, the colour pay off with this product to say it's just an instant, wash off tan is amazing and then when I went to have a bath I had to apply a shower cream and gentle rub for the product to come off. The bottle has a resealable lid and you just have to give the bottle a tiny squeeze for the product to come out. No mess! This bottle contains 150ml of product, which is great value for money seen as though you're only paying £5.99 a bottle. Please excuse my ghostly legs and bruise I'm currently supporting. 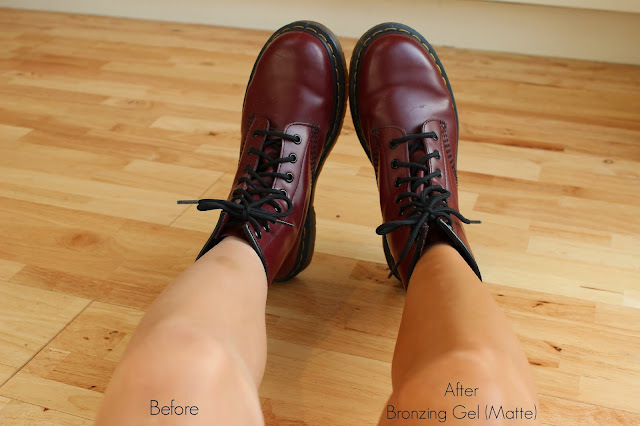 The owner of Cocoa Brown Marissa Carter has not failed when it comes down to the formal of both of these fake tan's. It's thick in consistency, which makes it easy to apply. It glides onto the skin so perfectly and that's without streaks like I mentioned previously. 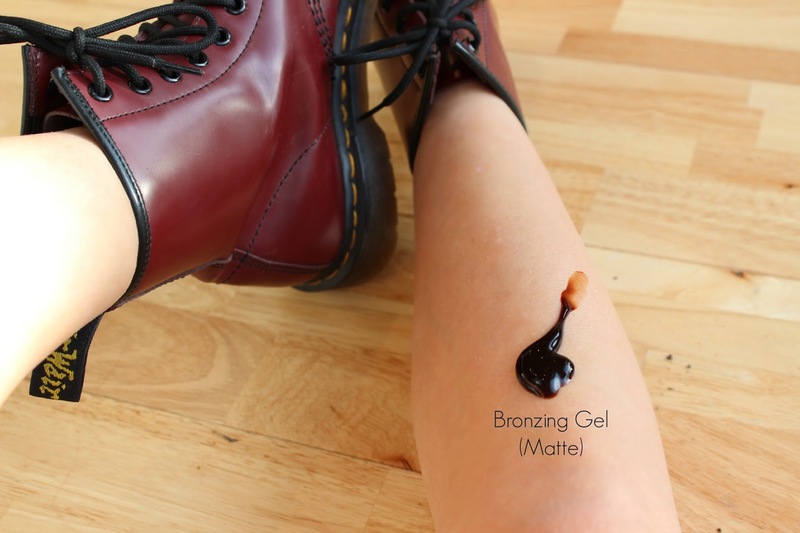 The fake tan also dries on the skin so quickly which means both of these will work great when you're in a rush. I applied mine and after I'd taken my blog photos I popped on my jeans and I had no transfer or rubbing off marks throughout the day. This product really is transfer and water-resistant, yet it washes off with ease once you're in the bath/shower. 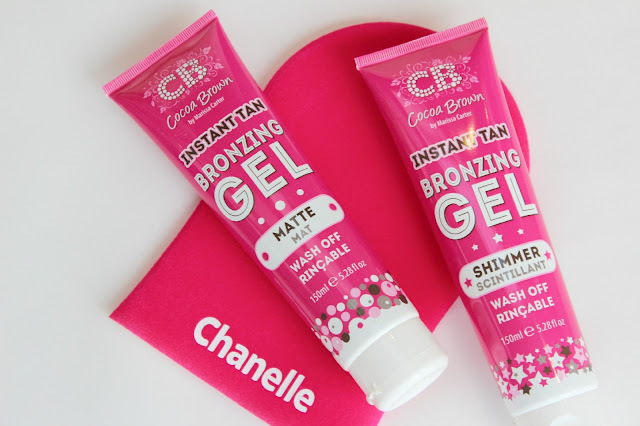 Cocoa Brown Instant Tan Bronzing Gel Shimmer will give you a beautiful sun kissed glow like you can see in the photo below. The bronzing gel has a lot of shimmer within the gel, but it's not too over the top like most shimmer products. I can't wait to apply this product throughout the Summer next year and I'll definitely be taking some in my luggage to wear on a night when I'm on holiday. This bottle contains 150ml of product, which is great value for money seen as though you're only paying £5.99 a bottle. When I opened up my little Cocoa Brown package I was more than excited to see this personalised tanning mitt. I was in so much ore that I didn't want to use it and ruin it, but you can't keep everything squeaky clean can you. The Cocoa Brown Deluxe Double Tanning Mitt is super soft on the skin and ensures that your tan is applied evenly, goodbye streaks! With this mitt being double sided it means you can obviously use both sides, which saves your hands from being stained with tan as with the one sided tanning mitts they usually leak through the material side, which is so annoying as you end up with an uneven tan on your hands. I've totally fell in love with this mitt! I will definitely be repurchasing when I'm ready for a new one. What I tend to do with this mitt is to use one side for my body and the other side for my face. 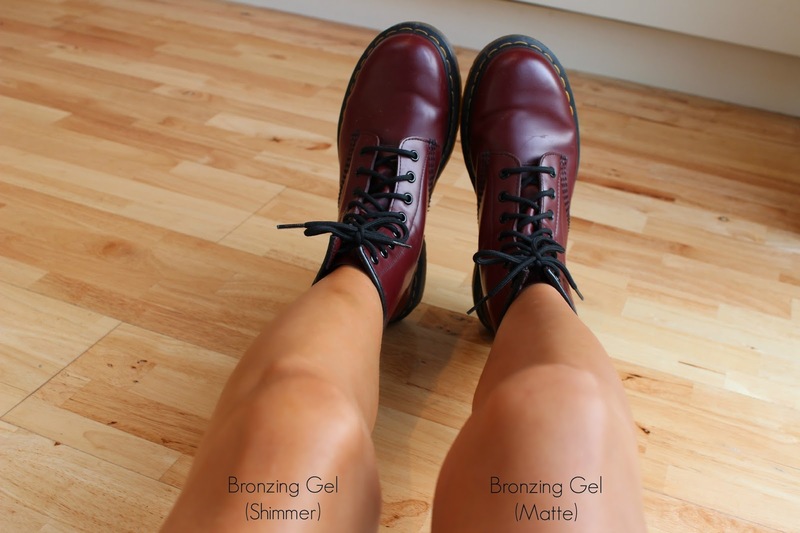 As both of these fake tans are non-comodengenic which means that they're also safe to use on your face. Nothing bugs me more than having a tanned body and pale face, so I was really impressed to find out you can use these on both. 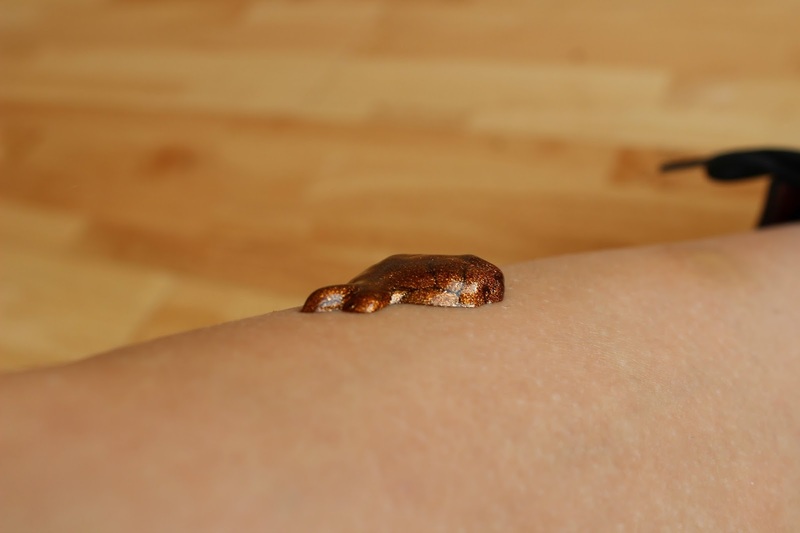 I sometimes apply a little to my face like a moisturiser and then apply my foundation for a more bronzed look. Then you can wash it off at the end of the night. These mitts are such a bargain for just £4.50 too! These little Cocoa Brown products would be great for any friend or family member as stocking fillers or maybe go all out and buy the rest. I'd definitely recommend all of the Cocoa Brown products that I have tried previously and the 1 hour instant tan that I have previously blogged about | read more here. 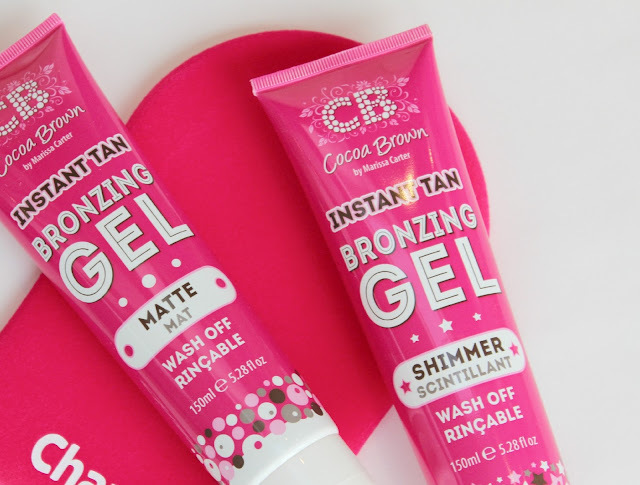 You can buy Cocoa Brown tan products online at Superdrug, Cloud10Beauty & Feel Unique. Gorgeous photos and I also adore these tans so much!